The empty shell in a new commercial development offered the dentist great visibility and access for a new practice. 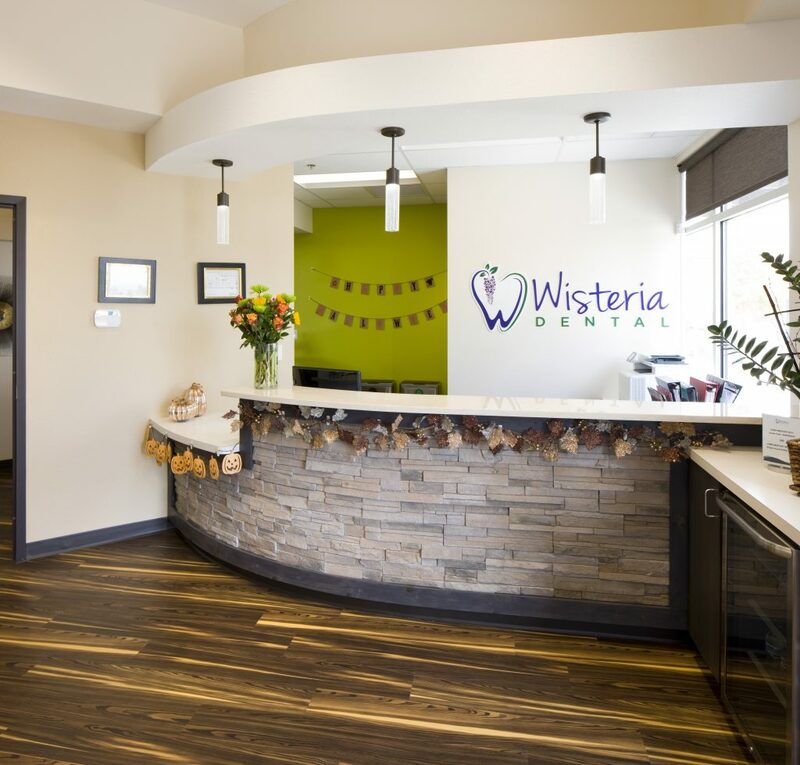 It was a tight corner space that would become Wisteria Dental in a bustling, growing area of Rio Rancho. The modern design is calming; the atmosphere reminiscent of a spa where one would go to relax and rejuvenate. 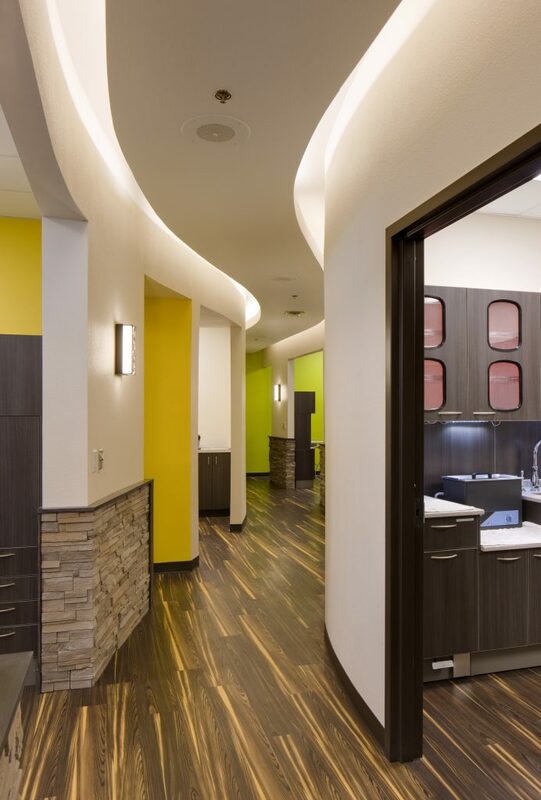 A key feature is a curving corridor with stone on the walls and recessed LED cove lighting that connects the two operatory bays. The passageway is a soft segue from the public waiting area to the private treatment area, both enhanced with natural light and a view. 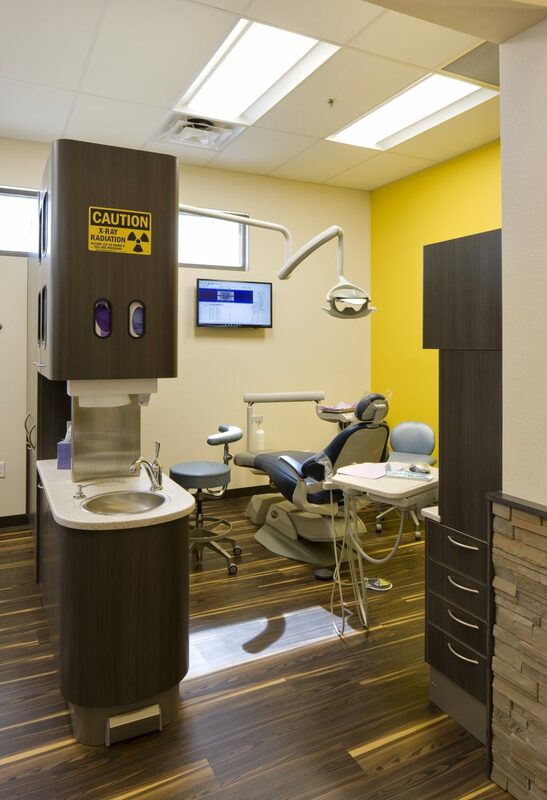 The clinic embraces the latest dental technology in a sophisticated contemporary way.